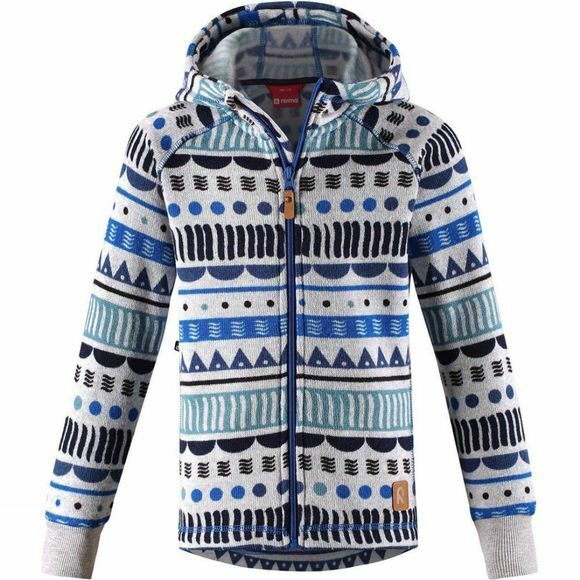 This junior fleece hoodie is an ideal choice as a mid-layer during active winter outings, and it feels soft against the skin. The material of this hoodie is warm, breathable and it dries quickly. The full-length zipper eases dressing up while the chin guard protects from scratching. Equipped with two side pockets and own pocket with snaps to ReimaGO sensor. 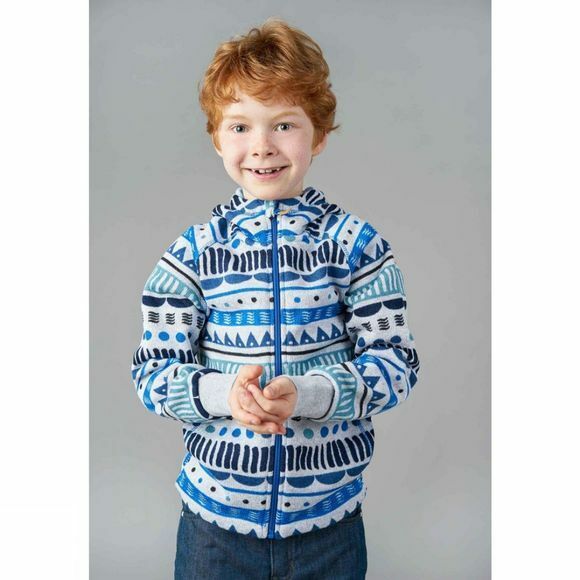 This trendy style comes with allover print and fixed hood.